Baby Driver’s essence is captured within the first five, heart-pounding moments. While other films need time to capture an audience, Edgar Wright’s newest directorial debut doesn’t waste any time letting you know just what it is: one of the best heist movies to ever exist. Baby Driver isn’t without flaw, but it’s one of the most enjoyable films to be shown on the big screen this year. 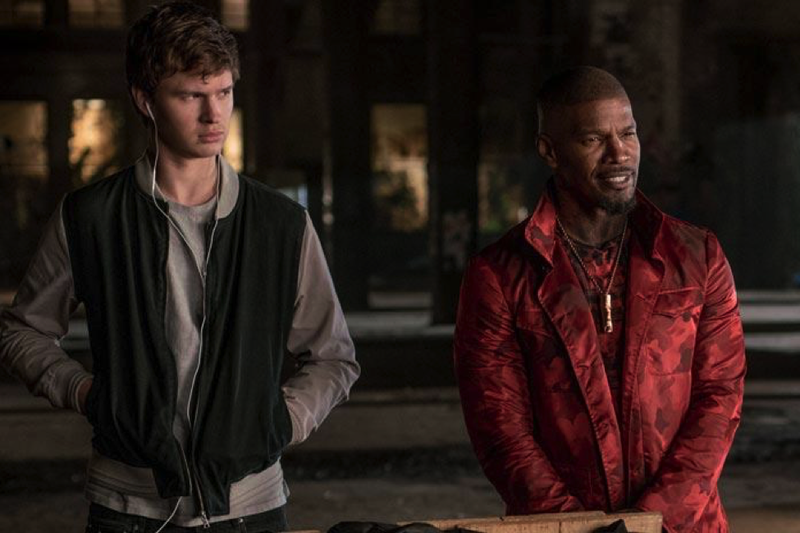 Our main focus of Baby Driver is none other than Baby himself, played by Ansel Elgort. Baby is a getaway driver with a debt to pay. He’s pensive, yet passion-filled. A silent type on the wrong side of the law for all the right reasons. We first meet our main character mid-heist and learn the way he operates in the most hectic of situations—he’s crystal cool. While other members of the crew have learned to keep their emotions in check, nobody is more relaxed than the man behind the wheel. That’s B-A-B-Y, Baby. Immediately, you’ll draw connections between Baby and The Driver from Drive (2011). Even the way the two stories begin is incredibly similar, though polar opposites in style. While The Driver skates the shadows of Los Angeles, escaping his captors with stealth, Baby hunts in the beating sun of Atlanta and uses speed as his greatest weapon. Through this way, Baby Driver takes on its own light hearted, fast-paced identity. While so many heist movies rely on the darkness to help set the tone, Baby Driver seeps in the light and it makes for a more upbeat viewing experience. Baby is always rocking a pair of shades with backups at the ready. More importantly, he wields iPods like six shooters and his earbuds are always blasting. 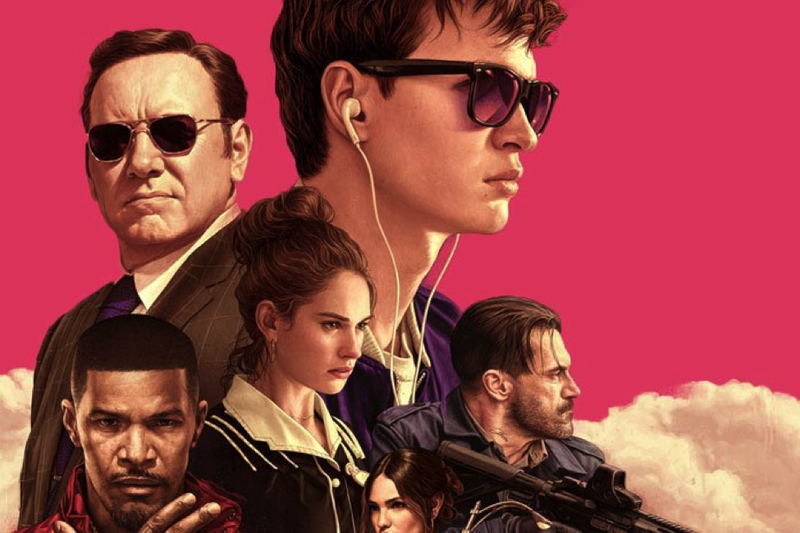 The use of music is so pivotal to Baby Driver, especially in the way it defines our main character. Baby has a hearing impairment from a past accident that still weighs heavily on him. With a constant, debilitating ringing in his ears, Baby uses music to drown out the ringing, as well as the thoughts associated with it. Behind the wheel, earbuds in, Baby is lethally effective. Just as Baby is partially defined by his music, so is this film by its soundtrack. Everything Baby is hearing in his earbuds, we hear as the audience. The music leaves its audible state and becomes an element you can actually see in the film. Whether it’s the windshield wipers sweeping with the beat of “Bellbottoms” or the lyrics to “Harlem Shuffle” being written on the walls as Baby breezes past, the soundtrack is engrained into this film. For those of you who are familiar with Wright’s work, namely Shaun of the Dead, this shouldn’t come as a huge surprise. This is becoming more common than it was a decade ago, but movies that can incorporate music as more than just ambience or stage-setting deserve a lot of praise. Over all the things Baby Driver did right, it’s the way music became a cinematic element that makes it such a memorable experience. You’ll find yourself whistling familiar tunes from the film as you drive down the highway or go about your day-to-day. Much like Baby, you’ll find yourself moving forward with the help of Baby Driver’s killer soundtrack. And in another one of Wright’s callsigns, the supporting cast of characters in Baby Driver are all interesting enough to deserve their own spinoff. Well, almost all. When it comes to the various members of the heist crews, each shines in their own distinct way. Each is their own strand of loony, and their awesome, witty dialogue reflects that. Heist movies depend upon tense, uncivil banter between distrustful members of the crew and Baby Driver took this concept to the next level. Wright managed to turn characters ripe for betrayal into hilarious counterparts to one another that can riff all day. Even though this is a group of killers, you’ll want them at your next Christmas party, if only for the hilarious stories that’ll surely follow. Jon Hamm and Jamie Foxx, playing Buddy and Bats respectively, deserve a lot of praise for how well they’re able to portray hardened heisters. They each get there by different paths, but both make it very clear they’re venomous by the end of the film, and it’s really fun watching them devolve to that state. But the love interest of the film is weak compared to the rest of the cast. Deborah, played by Lily James, is a well-written character, until she’s not. Embodying the trope of all tropes, she’s a waitress at a diner just waiting to be swept off her feet by whoever’s looking to throw some attention her way. Even when she finds out Baby’s line of work, it doesn’t stop her from breaking the law and going full renegade. The movie is supposed to take place over several weeks, maybe longer, but her transition into a lawbreaker blinded by love feels forced. On top of that, she doesn’t really do anything. This may be because a cast of bank robbers and operators is too much of a counterweight, but her role feels more like a chess piece being held hostage at one end of the board that Baby must play towards. She has one definitive action near the end of the movie, the well-worn saving grace before the main character is killed, but that’s about it. I was really hoping for more from the love interest. There are a few other heist movie cliches scattered throughout the film. Baby definitely muttered the phrase “one last job” at least twice. For the most part, the story isn’t predictable, especially in the way the crew’s inevitable mortal ends come to pass. Doc, played by Kevin Spacey is the leader of the heist crew. From his watchtower, he plans the raids then reaps the rewards, but he’s also got Baby under his thumb by way of debt. This is the kind of person most moviegoers expect to be the ultimate baddie, but he’s not. It was refreshing to have a movie filled with familiar beats but have them concocted in a different way. Characters that fit the criminal mold, but still have some humanity left inside them is one of the ways Wright managed to make a film with a story that hasn’t been shown before. Baby Driver is the best movie of the year and it’ll probably stay that way all the way through December. For a young filmmaker, there’s a lot to learn from Baby Driver, especially in the way music plays so heavily into the final product. Of course, nothing can beat a fresh story that’s not just taking the usual and doing the opposite. Baby Driver almost nailed that perfectly. Edgar Wright consistently shows he’s capable of making cinematic romps that still tell a great story, and this movie is his best yet. 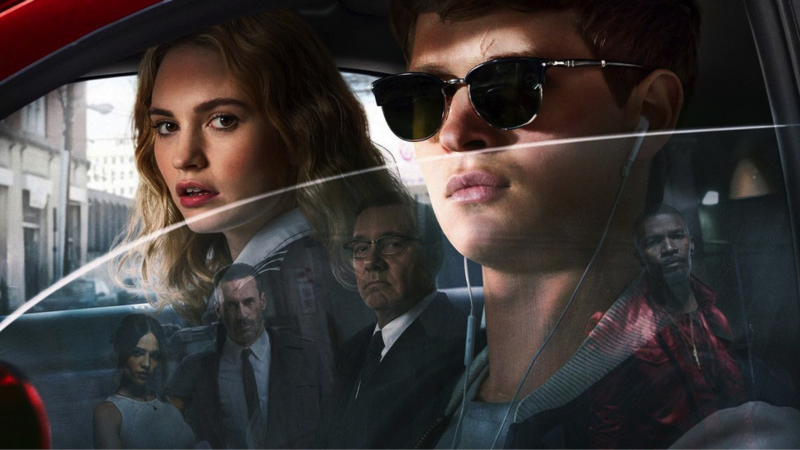 Is Baby Driver 2017’s best movie? Let us know what you think!